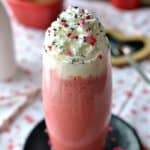 Red Velvet Mocha Milkshake is not your average shake! 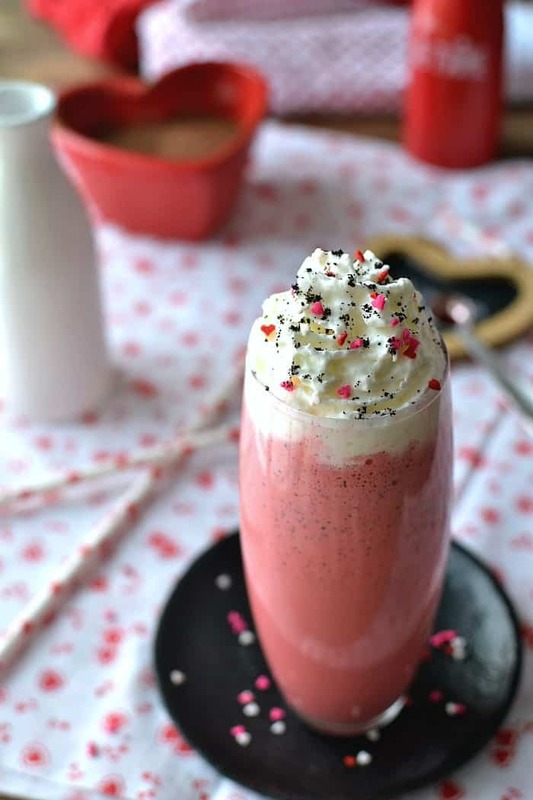 This coffee flavored milkshake is complete with a touch of cream cheese for that perfect red velvet flavor. 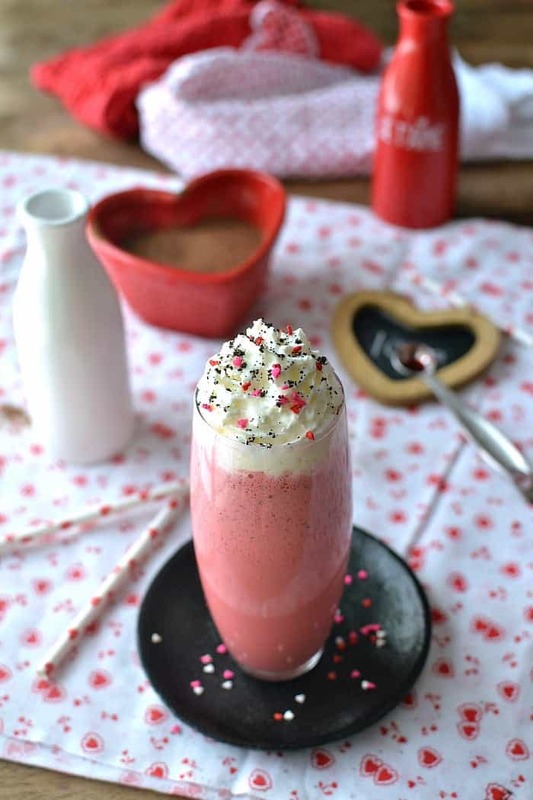 The perfect treat for Valentine’s Day! At some point in my life, I’d be a great candidate for an espresso machine. Not only because I love the taste of espresso (my morning coffee resembles it), and not only because I’ve worked in numerous coffee shops and already know how to make it, but because it might stop me from wanting to infuse everything I make with a delicious hit of the stuff! Or…..I guess……it could make my obsession worse!? For me, there’s just something about the whole coffee experience that I savor. The sound of it brewing, the aroma in the air, the warmth of the cup in my hands……I’ve said this before, but there are definitely days when coffee is the only thing that gets me out of bed! 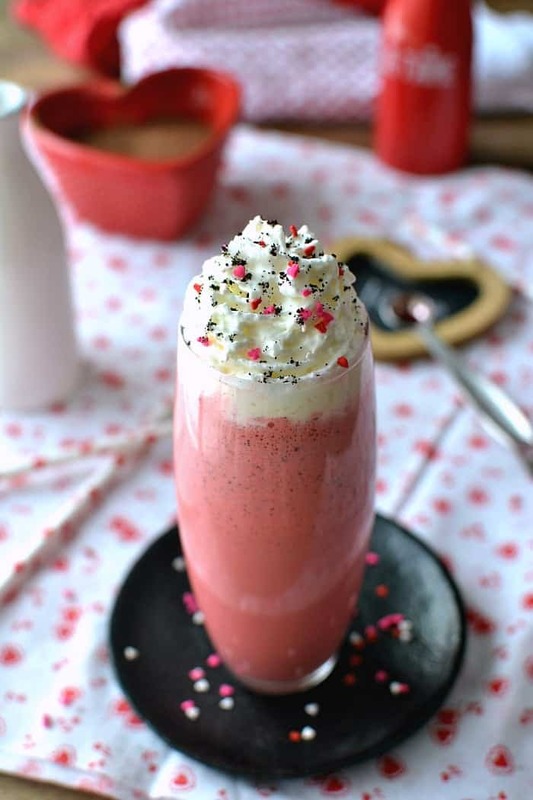 Actually, though, this milkshake is easily de-mochified (just leave out the ground coffee!) Either way you like it, the one thing I can guarantee is you will like this treat. In fact, you will probably LOVE this it!. It’s delicious, it’s pretty, and it’s so easy to whip up and share with family and friends. Or enjoy all on your own. I definitely wouldn’t judge. Combine ice cream, half & half, cream cheese, cocoa powder, ground coffee, and food coloring in a blender. Blend until smooth. Be sure to follow us on Facebook to keep up with all our latest recipes! Oh my! I’m a huge coffee girl and this looks like the perfet afternoon pick me up 🙂 yummy! I love the festive red too 🙂 my girls would be quite jealous! I’m with you all the way on coffee. It’s such a comfort for me as you said…the brewing…the aroma. And the darker the better. I think if I had an espresso machine I’d totally go crazy with it! 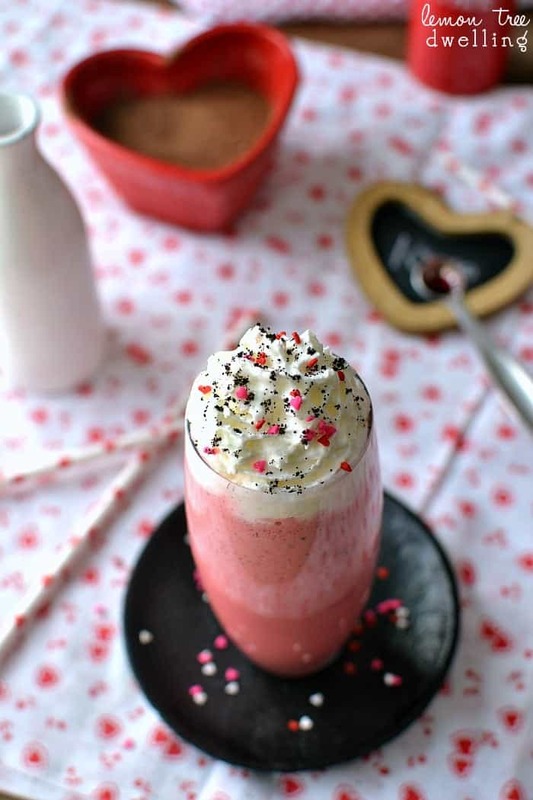 And this red velvet mocha milkshake looks so perfect for V-Day! Pinned. I can’t live without coffee. Seriously. I would go crazy with an espresso machine too! LOL. 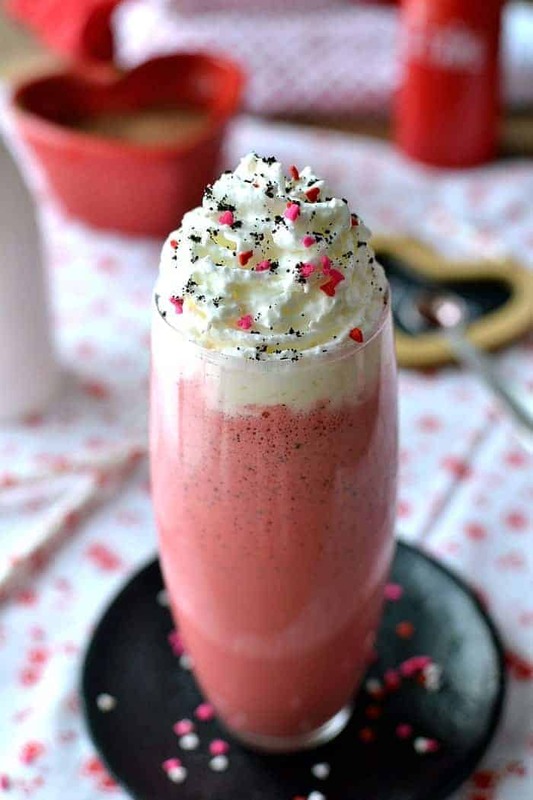 I wish I had a nice tall glass of this milkshake – so yummy!